INSTRUCTOR IS ON LEAVE. PLEASE CHECK BACK IN 2017! Need to spice up the front of your fridge? 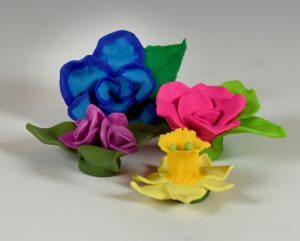 Come work with polymer clay and create colorful flower magnets. Choose from a variety of colors and styles with step-by-step instructions so you can achieve the look you want. Then take home your creations and bake them in your oven. Perfect accents for photos on your fridge, but pretty enough to display on their own.